I joined a group of KAL(knit Along) Loafer sleeper. 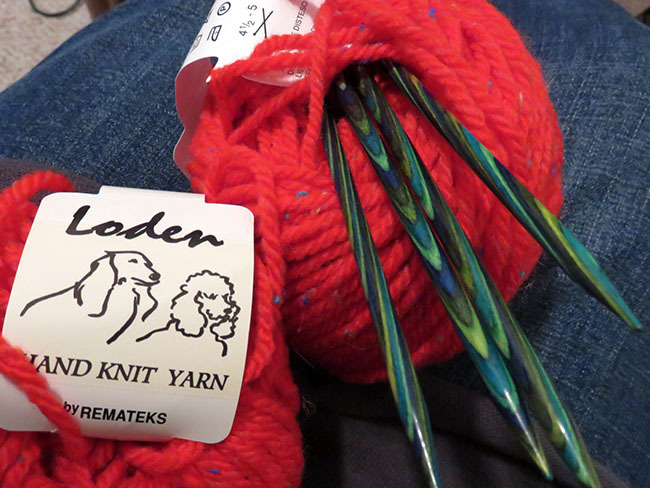 It seems simple and call for thick yarn and needle over 5.0mm. Leader of KAL group is a Korean blogger SeolRyu 설류. She said she’s an amateur herself. But, her FO seems stylish and good items for Christmas gifts for family and friends. 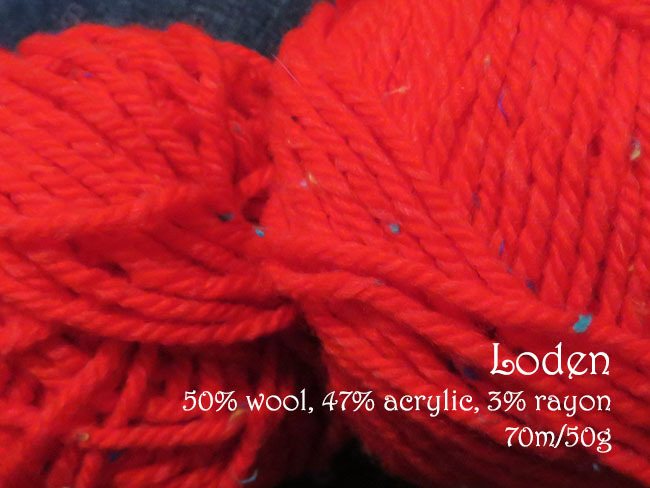 I have lovely vivid color worsted weight yarn Loden, Few balls of custard yellow, scarlet, Christmas green, pumpkin orange, indigo and purple. I’m keeping purple to knit sweater someday. I did CO last night. I’m done already a pair. Will post FO couple days later when I have some time to take picture. Then I will start to make another. 정말 오랫만에 함께뜨기에 참여하고 있어요. 네이버 블로거 이웃 설류님의 로퍼덧신입니다. 정작 본인은 아마츄라 하시지만 완성작이 너무나 탐나고 예뻐 보였어요. 패턴의 실과 바늘이 굵직하기도 하고 마침 가지고 있는 실과도 잘 어울릴것 같았습니다. 크리스마스 선물을 위한 대량생산에도 적격인듯 하구요. 사용한 실은 로덴의 예쁜 빨강이예요. 로덴실은 정말 가격대비 질과 색감 모두가 만족 스러운 사랑하는 실입니다. 이곳까지의 배송비가 만만치 않음에도 친구를 통해 부탁을 해서 몇팩을 쟁여두고 있지요. 아쉬운점은 자주색을 제외한 나머지들은 옷을 만들 분량이 안된다는것. 칼참여를 공개하는 포스팅을 할 요량으로 실사진을 저리 찍어보고 어젯밤에 코를 잡았는데 글쎄…벌써 완성해 버렸어요. 이삼일 있다 착샷을 잘 찍어보고 완성작은 그때 올려야 겠어요. 줄줄 선물을 위한 공장가동에 들어갑니다.